We go to great lengths and expenses on our quest for graceful aging. Some things you just can’t skimp on and your face is one of them. Fortunately, our seemingly endless journey has come to a happy ending. 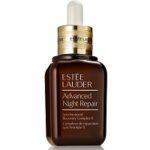 Face serums are magical little creations that do absolute wonders for our skin. What’s actually in facial serum that makes it our own little bottle of liquid, youthful gold? The ingredients are what sets face serums apart from the rest of the cosmetic competition. What we love about face serum is that it strips away all of the additives, fillers and fluff that we don’t need. What we’re left with is the most essential, skin nourishing elements for a flawless face. It’s like buying the freshest, most organic food, straight from the source, without being heavily processed or riddled with artificial ingredients and preservatives. Face serums contain only what we need most and that’s why it’s a total powerhouse in our beauty routine. Strictly necessary ingredients. Let’s dive into the ingredients that make up face serums. Now, if we were to list out every ingredient possible and all the potential combinations, this ultimate guide would end up being as long as The Count Of Monte Cristo… the unabridged version! Unless you need some reading material for the next few months, we’ll just stick to the most common face serum ingredients that have been shown to provide real results. Here are the most important ingredients that you’ll find in face serums. And the specific beauty benefits of each one. Hyaluronic Acid specializes in replenishing moisture to dry, parched skin. As we age, we naturally lose the ability to retain moisture in our skin. Moisture is needed for a supple and youthful look and feel. Without an adequate amount, our skin begins to lose plumpness and firmness. Hyaluronic Acid is super effective because it can absorb up to 1,000x its own weight in water. Since it’s so absorbent, it’s able to draw in water and lock in vital moisture. By rehydrating the skin, it smooths and plumps the surface, while dramatically reducing fine lines and wrinkles. This essential nutrient plays a large role in skin health. It’s a powerful antioxidant that protects the skin from damaging free radicals caused by stress and common environmental factors. It aids in cellular repair, wound healing, fighting inflammation, and promotes collagen production. This leads to more elastic and resilient skin and fewer fine lines and wrinkles. Vitamin C brightens skin tone and reduces the appearance of discoloration from sun damage, acne scars, and age spots. This vitamin works hard to repair, protect, and revitalize your overall complexion and fights the signs of aging. Two especially powerful forms of vitamin C used in face serums are L-Ascorbic Acid (water-soluble vitamin) and C Ester (fat-soluble vitamin). Retinol is one of the most clinically proven anti-aging ingredients available today. It stimulates the production of collagen, which leads to firmer, plumper skin. Retinol has exfoliating properties that encourage cell turnover and helps shed dead skin cells. As we age, our skin’s natural exfoliating functions slow down and we produce less collagen. This results in dull, tired looking skin that can be dry and flakey. Retinol is also able to tighten pores and reduce hyperpigmentation by evening out skin tone. This vitamin leaves you with a fresh, vibrant glow and visibly softer, firmer skin. AHAs are natural acids that are derived from fruits like lemons, grapefruits, and oranges. They work in numerous ways to greatly benefit your skin. These acids are chemical exfoliators that keep your complexion clear and vibrant by removing the buildup of dead and damaged skin cells. They also keep your pores from getting clogged and help prevent acne breakouts. By exfoliating the skin, they clear dead skin and debris to make your facial products work better and absorb more efficiently. AHAs lighten and brighten the skin by correcting discoloration and hyperpigmentation due to scarring, age spots, and sun damage. You’ll commonly find these natural acids listed as lactic acid, glycolic acid, sugar cane extract, triple fruit acid, and malic acid. This vitamin is another potent antioxidant that works well in conjunction with vitamin C.
This essential nutrient minimizes free radicals and reverses the signs of aging. It also moisturizes the skin, leaving you with a soft, luscious complexion. Vitamin E works to brighten and even skin tone and texture. DMAE is often referred to as a “facelift in a bottle”. This nutritional substance has been clinically shown to lift, firm, and tighten the skin. It works wonders for anti-aging and helps reverse drooping and sagging that naturally comes with time. DMAE minimizes both deep and fine lines and evens out the color and tone of your complexion. This powerful ingredient offers youth educing results and quickly! Peptides play a crucial role in the strength and structure of skin. They consist of amino acid chains that are the building blocks of protein (namely collagen). Peptides encourage cellular repair of skin and increase collagen production. 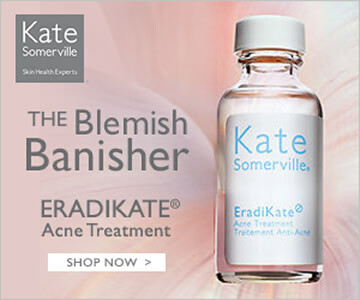 This bolsters and firms the skin and reduces wrinkles and fine lines. Glycerin is a multi-functional, beneficial ingredient. It’s been clinically shown to significantly improve the hydration of skin. It also benefits by restoring and enhancing the body’s natural protective barrier function. Glycerin helps the skin attract and retain moisture, keeping it supple and noticeably soft. All of these qualities give the skin a youthful appearance and minimizes signs of aging. Green Tea is often touted for its health benefits within the body, but it greatly supports the outside, as well. This super antioxidant has strong anti-inflammatory effects that promote skin health. Green Tea protects against the damage of free radicals that’s due to poor diet, pollution, UV rays, and smoking. It also helps reduce the appearance of wrinkles and fine lines. Green Tea rejuvenates the skin, evens out complexion, and lessens dark spots and hyperpigmentation. This antioxidant encourages the exfoliation of dead skin cells, which improves the overall radiance of skin. The work of stem cells is rather remarkable. Stem cells are able to repair every type of cell in the body. They stimulate cellular renewal, proper cellular function, and increase the overall production of collagen. Stem cells completely rejuvenate and protect the skin. These cells are usually derived from plants such as lilac, grape seed, edelweiss, and swiss apple. However, sheep placenta extract (as crazy as it sounds) is also another beneficial form used in face serums. 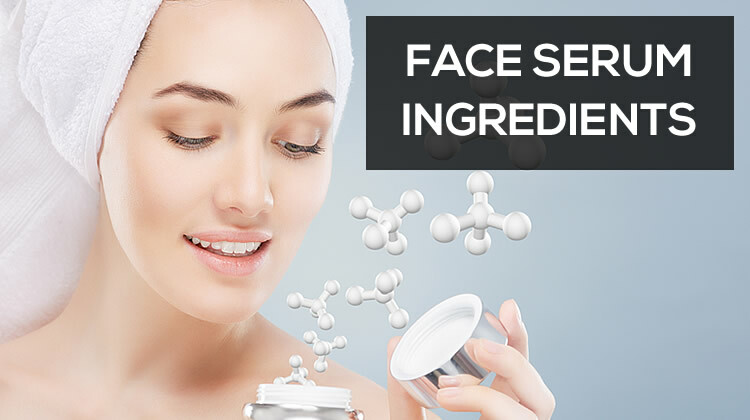 Growth factors are another interesting and highly sought after inclusion in face serum. They aid in the division of healthy cells, growth of new skin cells, and production of collagen and elastin. This greatly helps the appearance and texture of skin. Complexion is visibly evened out, enhanced, and healthy. Growth factors can be synthetically made or derived from plant, animal, or human sources. A few examples are plant-based Kinetin, secretions from a particular snail (Cryptomphalus Aspersa), and colostrum from a mother cow. Resveratrol is a particularly potent antioxidant that’s found in the skin of grapes. This natural compound protects the skin and neutralizes damage from free radicals. Free radicals affect the production of elastin and collagen, two key players in the health and vitality of skin. 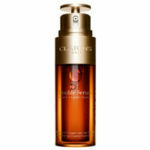 Resveratrol acts as a strong skin revitalizer and helps restore a youthful contour. This ingredient is quite a mouthful, so the abbreviation MSM is often used. MSM is a sulfur compound that’s present in our bodies and in some plants. It’s been referred to as “nature’s beauty mineral” because it promotes the production of keratin and collagen. MSM enhances cellular respiration, which allows cells to utilize oxygen and function properly. It also brightens complexion, treats acne and breakouts, and enhances the absorption of nutrients into the skin. ALA is yet another active ingredient that exhibits numerous beauty benefits. It’s a remarkably potent antioxidant, anti-inflammatory, and anti-ager. ALA is considered the “universal antioxidant” because it’s water-soluble and fat-soluble. This allows ALA to be incredibly absorbent and efficiently penetrate the skin’s lipid layers. It also does defensive work in the watery centers of cell plasma membranes where it fights off free radicals. It tones the overall complexion and visibly shrinks the size of pores. In a nutshell, ALA also helps ensure that the skin is receiving adequate blood flow, creating a healthy, radiant appearance. As we mentioned earlier, there’s literally an endless amount of beneficial ingredients that can be used in face serums. This makes it nearly impossible to fully cover all of the different combinations. However, botanical extracts and oils (while there are countless forms of them) are definitely heavy hitters in the make up of face serums. So, it’s necessary that we put some of the most prominent types in this ultimate ingredient guide. Botanical oils and extracts naturally contain some of the most nourishing and regenerative properties that we could give our precious skin. They are packed with amino acids, antioxidants, fatty acids, phytonutrients, and essential vitamins. These incredible qualities give them the ability to diminish wrinkles and fine lines, brighten overall complexion, fade acne scars and age spots, balance oil and moisture levels, smooth and soften the skin, fight free radicals, and repair, protect, and revitalize skin cells. So Which Ones Work Best? As you can see, face serums are chock full of the highest quality and most potent ingredients. Each ingredient works overtime to offer not just one but many beauty benefits. When you have a combination of these ingredients, your skin is perfectly set up to be as nourished and radiant as possible. 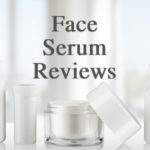 Face serums are simply the best supplements you can give your skin. 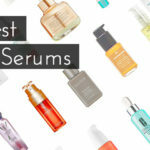 Now, to get these luscious and youthful benefits for your skin, check out our list of the best face serums!